Please note: You need to register for this even and it is located at the Community Garden in Maple Falls. 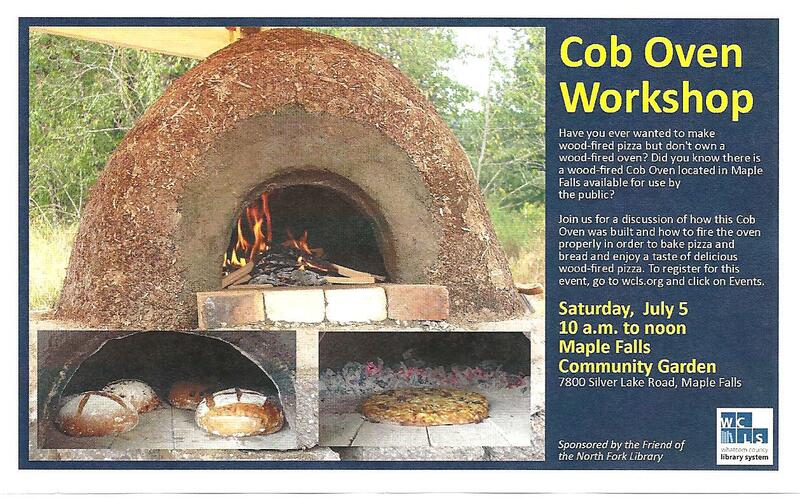 This entry was posted in Library Events and tagged Cob Oven Workshop, Community Garden, community library, North Fork Community Library, Presented by the Friends of the North Fork Community Library. Bookmark the permalink. ← Summer Reading is Here!